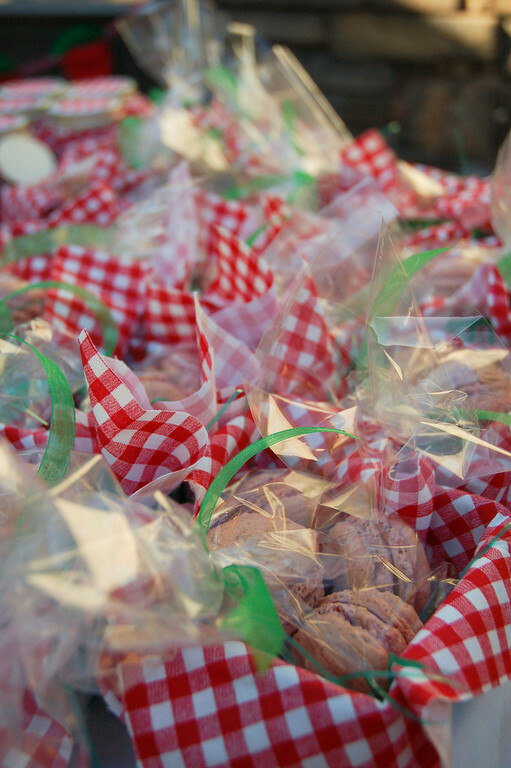 Oohhh...some fabulous parties from mom Nicole. 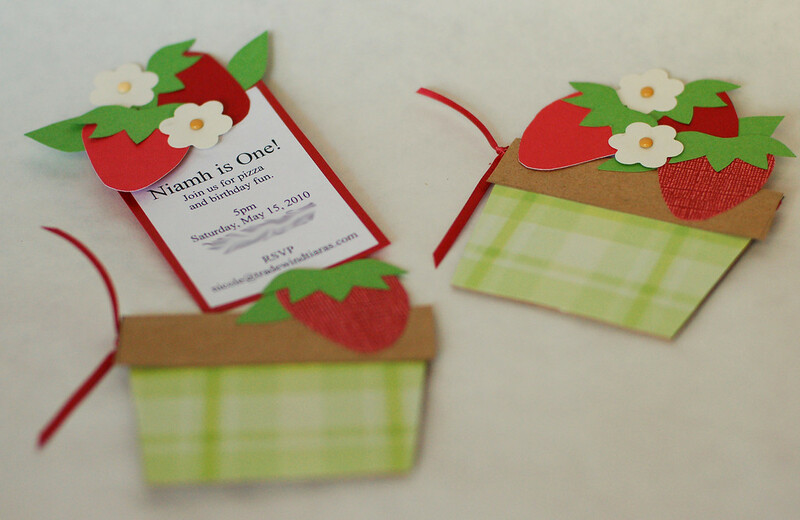 First up, this awesome 'strawberry picnic' themed affair for daughter, Niamh! 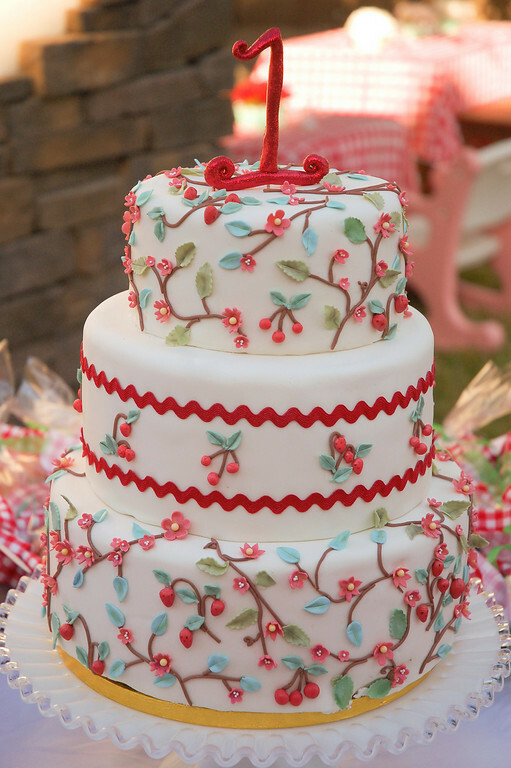 Love the pattern on pattern, splashes of strawberry, red and gingham- and check out that cake. I LOVE THIS! I am sensing a summer trend coming on! 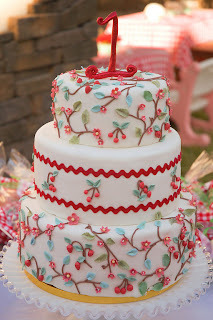 Strawberries and cherries... so super cute with the light blues. So sweet - absolutely adorable! Very, I mean berry beautiful! 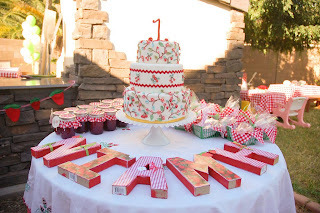 I love the Martha Stewart-style cake...and those invitations are so creative! Oh I love those invitations and that cake is beautiful! Thanks for sharing! 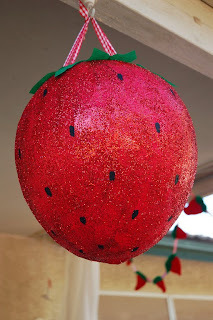 So beautiful and cute, the idea is fabulous. Hi, I wanted to know where I could order those invitations? I have looked everywhere and can't find them...can you please help?